CosMoS CE2F were a series of Swimmer Delivery Vehicle (SDV) built by M/s Cos.Mo.S Spa. which was in Livorno of Italy. Cosmos is probably the most famous military wet-sub (chariot) / midget sub manufacturer in the world. The firm originated in the 1950s when Ing. 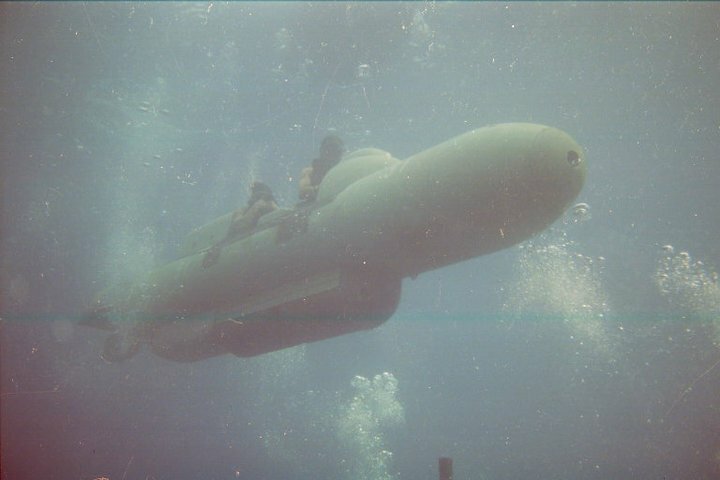 Sergio Pucciarini, an ex member of the Decima Flottiglia Mezzi d'Assalto (MAS), also known as La Decima or Xª MAS, an Italian commando frogman unit of the Italian Royal Navy, started to build wet subs for civilian and military use. The Hellenic Navy (Πολεμικό Ναυτικό) purchased some SDVs of the CE2F/X60 model (perhaps four) in the late '70s. In service, they were known as ΥΠ.ΟΧ. (Υποβρύχια Οχήματα). The CE2Fs are designed from the outset as a mean for attacking enemy warships in harbor mainly as well as for other special operations.